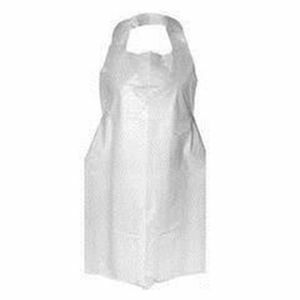 - Disposable plastic apron, white. - 100 pcs per box, individually packed. - Used for either simple surgical proceduces or food preparation.